As a 90's internet user, this icon was a portal to the new world. But sometimes it struggled and I thought it would look like this while trying to connect. For all those who had a more acute hearing only because of internet. This was created for the 90's challenge at Threadless. The whole idea behind it was to recreate the classic icon of Win95/98 of a dial-up connection. 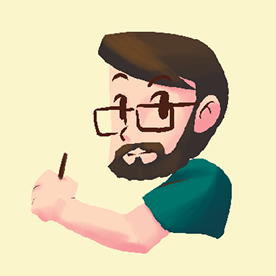 I kept the palette for consistency and try to create a situation about those 3 elements where the modem was having a hard time trying to established a connection. 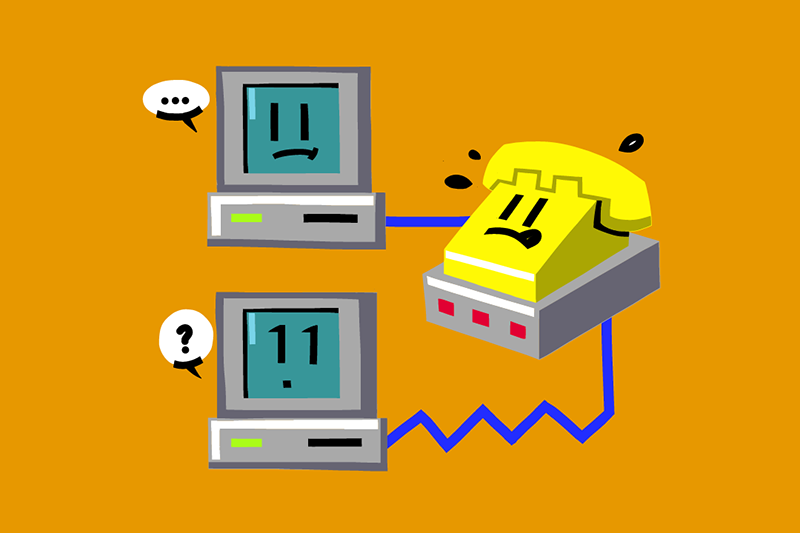 This was a submission to the 90's challenge at Threadless and it's how I saw the classic dial-up icon while trying to stablished the internet connection.